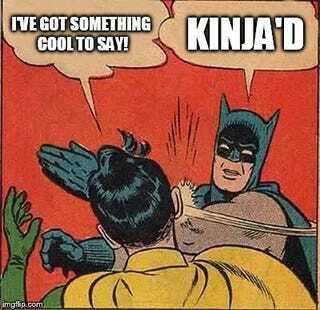 Seriously...Kinja is still the worst thing to ever happen to Gawkmodo. Every single “improvement” (except notifications) has made it markedly worse, and I know most of you agree. Today is yet another “live beta test” that I’m sure will either be quietly killed or change your commenting abilities forever. Truly building the car while we’re driving down the highway.